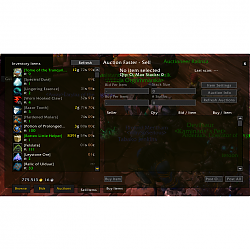 Why yet another AH addon? 2. Quickly buy flasks/food/consumables without scanning all pages. Automatically lists all sellable items in bag, no need to drag anything. Has money inputs that understands strings like "2s", "2g5c", "9999g", "999g 40s 30c" so you don't need to enter gold, silver, copper separately. Please Add calculating price when holding shift. For example, if i have 28 ores or whatever now i see price on tooltip for one but when i press shift it will be great to see how much that 28 ores together are. Last edited by Paopao : 10-14-18 at 02:08 AM. 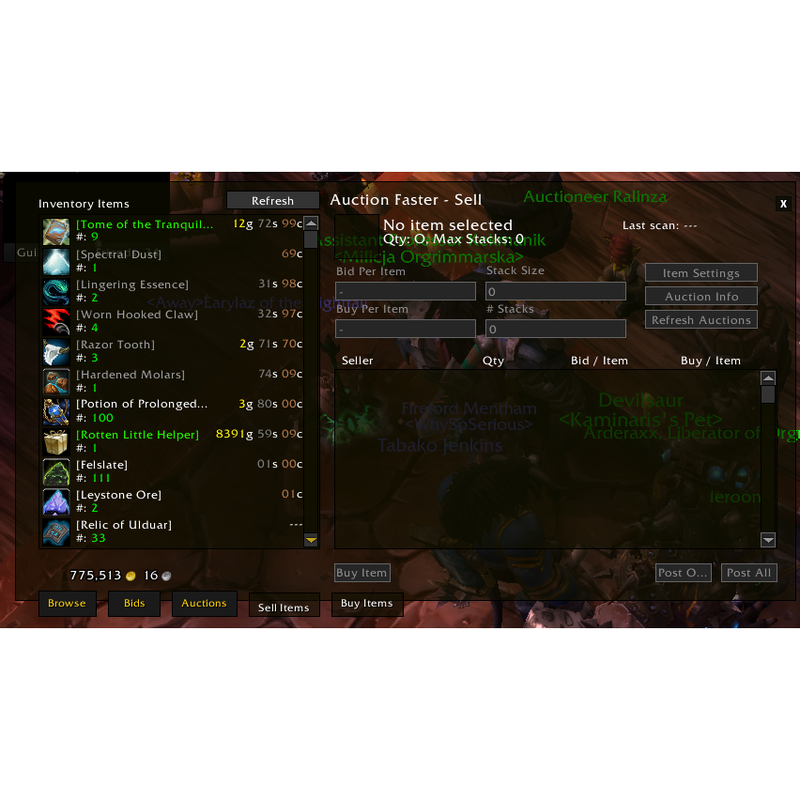 Great addon mate, really thank you for all your work. Currently using the GIT version. If you know how, use github repo, there is alpha version there that has few magic functions. You will love it and I need beta testers. in AuctionFaster\tabs\buy\ui.lua, line 230. It seems to make my buying workflow much smoother because I can scan the Favorites list and click interesting entries without having to move the mouse up to click Search each time. Clicking in the favorites frame doesn't seem to be used for anything else, and this doesn't interfere with removing favorites. Last edited by entropy43 : 08-31-18 at 04:10 PM. this is incredible! unbelievable! no more auctionator and endless scanning. Oh no. Not another.. what? wait a second.... i give it a try.